This Sand dollar hook is my new favorite, because it looks like a real sand dollar when painted white and distressed as shown. Every beach lover needs someplace stylish to hang his/her towel, hat, jewelry, or favorite scarves! 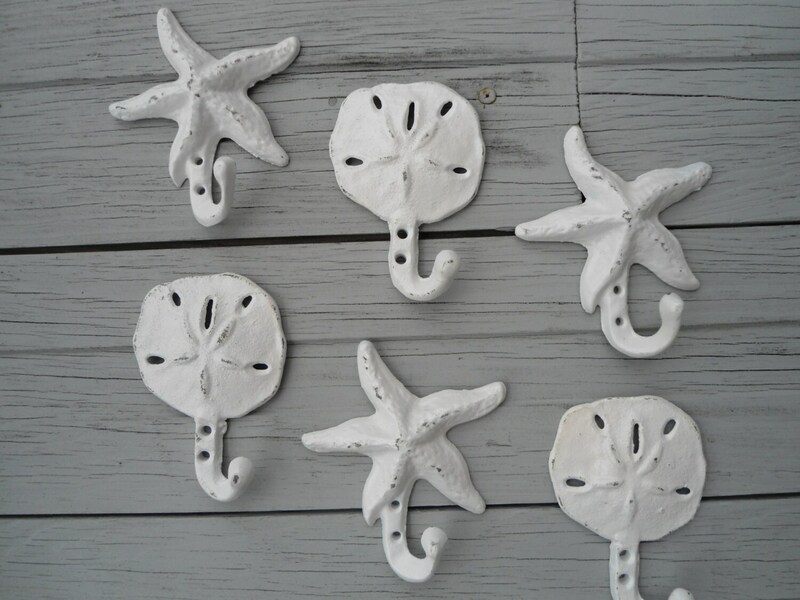 I was so pleased when I found these - they're available unmounted, mounted on barnwood or mounted premium painted lumber- we have listings for hook boards that have 3, 4 and 5 hooks, so you can mix and match them with our mermaids, starfish, anchors, seahorses, or turtles. We have other styles and colors available, so take a moment to browse while you're here. 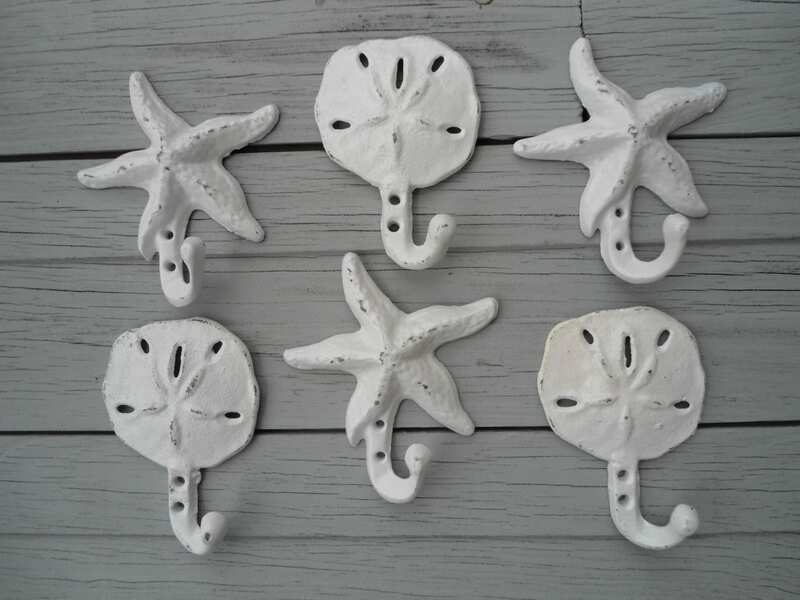 Our customers love using these for beach towels and pool towels outside or bath towels indoors...Use these in your guest bath, or kitchen (or galley of the boat :) for your guest hand towel, jewelry, or let it hang unadorned in it's shabby chic beauty. These have a sturdy hook, so they are beautiful and practical. 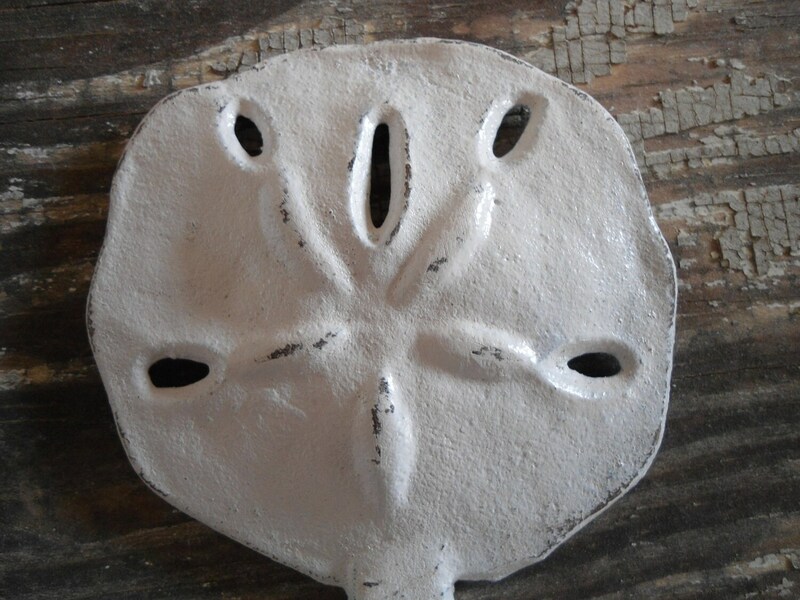 It measures almost 3" wide, and is 2 3/4" tall (just the sanddollar). The hook part adds another1 1/2", so total height from top of sand dollar to bottom of hook is almost 4 1/2" Made of cast iron, it's sturdy enough to hold moderately heavy items. All you need is 2 nails or screws and your sylish decor is done. Your sand dollars will be shipped in the small priority box. 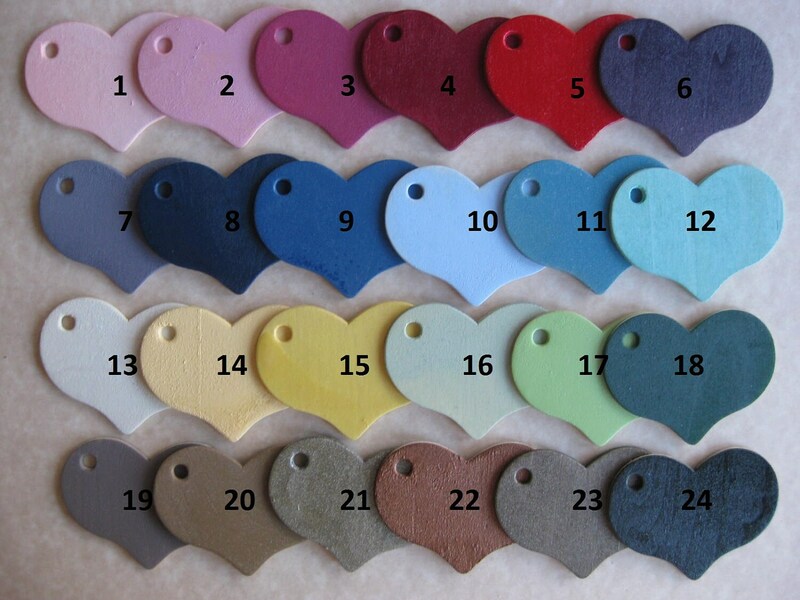 Please specify the color you want, and if you want yours distressed or not. We need at least one week to get your order painted and dry before shipping. 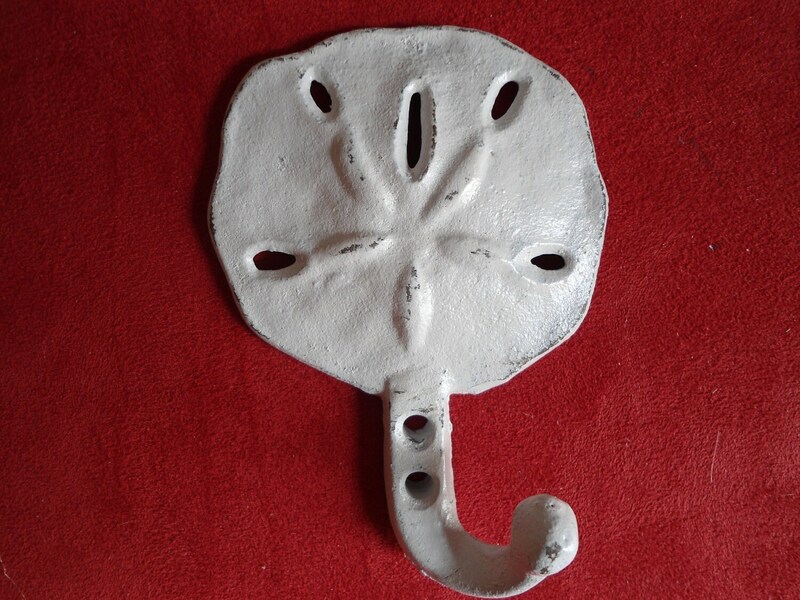 If you'd like to combine this hook with more of our nautical items: starfish, seahorse, mermaids, seashells, turtles, fish...etc...contact me and I'd be happy to set up a custom order for you with savings on combined shipping. I wish the screw heads were the same color as the hooks. Otherwise I am happy with this item. Loved these and fast delivery!